Join The Mix team and take on 26.2 miles in one of Britain's most beautiful cities. 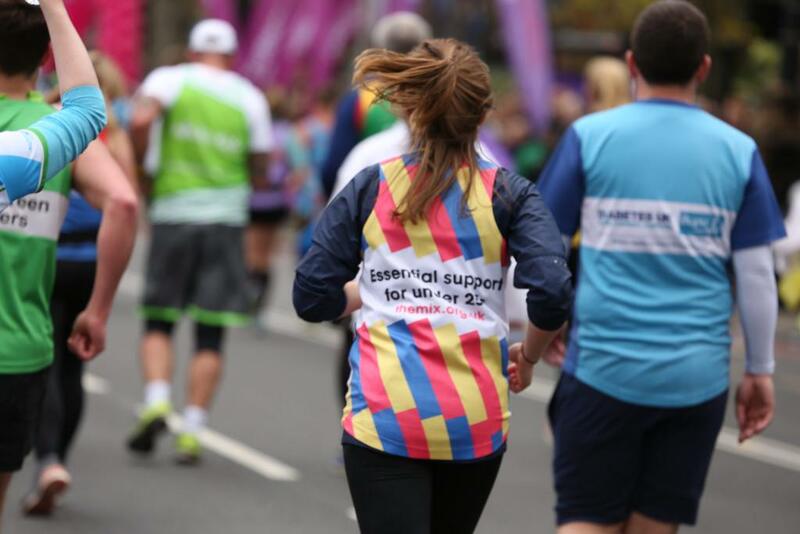 Run along the seafront and take in some of Brighton's most iconic sights, wit its picturesque view and amazing atmosphere this is one marathon you don't want to miss! Enjoy the coastal scenery as you take on the UK’s second largest marathon. With a beautiful backdrop of the sea in one of the country’s most vibrant cities you can join over 10,000 runners as you run through the winding streets of Brighton and finish in its beautifully renowned seafront. With an amazing atmosphere and beautiful sea views the Brighton Marathon is one not to be missed. For every mile you run and every pound you raise you can help The Mix support one extra young person who contacts us for support and information. If you have booked and confirmed your own place through Brighton Marathon and wish to join The Mix Team, we will be delighted to have you on board! You will receive the same support and everything you raise will help fund the vital work The Mix does. Click here to set up your fundraising page, it’s quick and easy to do. Remember to add a picture and a little bit about why you are fundraising for The Mix- you want to connect with your donors as much as possible. Once completed you can start sharing your page on social media, with friends and family members, even work colleagues. Please note that we require you to have met half of your fundraising target by February and one month after the event date to reach the minimum fundraising target. Thank you for your interest in one of our events. Please complete the form below and we will be in touch as soon as possible. Would you be prepared to share your story? I understand that this form registers my interest in the above event and does not guarantee me a place. I pledge to raise the sponsorship amount stated on the event page. I will endeavour to ensure that any money I raise will be sent to The Mix one month after the event. I permit The Mix to use any photographs taken during the event for any advertising or editorial purposes including online and offline. Enjoy the coastal scenery as you take on the Brighton Marathon, the UK’s second largest marathon.